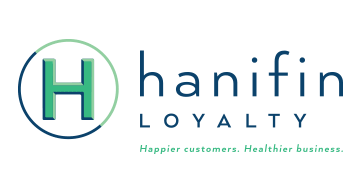 Hanifin Loyalty is a full-service Customer Growth Agency. We specialize in improving profitability among customer groups. We do our best work at the intersection of customer loyalty, data analytics, payment systems and marketing technology. The magic we bring to your business is to transform complex customer data into marketing solutions that are both profitable and practical to execute. We are publishers of LoyaltyTruth.com, the only industry source of independent and unbiased insights on Customer Loyalty and Data-Driven Marketing.